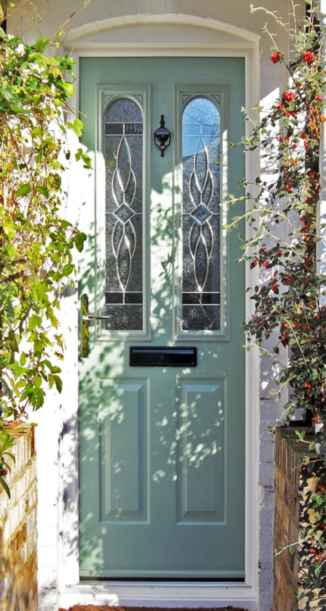 Maybe not quite the image that you would expect to be used to present an image of summer, but to we at Timber Composite Door this image says it all – our Nottingham pattern door in Chartwell Green – a bright sunny day with dappled shadow and colourful foliage what could be more welcoming? As beautiful as this door may look at this time of the year, now that the Summer Solstice and with it the longest day are behind us we can be assured that although it may not noticeably happen for a month or two – the nights will draw in – the days will become cooler and how good will our door look then, more importantly how will it perform against the winter chill. The answer, and yes, we are just a bit biased, in a single word – brilliantly- because it’s a Solidor the composite door that is built around a laminated hardwood core to provide more strength, thermal and acoustic insulation. Because all Solidor doors are factory engineered to the highest quality standards as a “door set” i.e. a combined door and frame unit, where the draughtproofing is incorporated into the frame and door prior to it ever reaching your home quality draughtproofing is guaranteed – the door and frame are delivered as a unit, the door is removed from the frame, the frame is installed and then the door re installed the draughtproofing remaining untouched throughout the operation. Quality thermal insulation and draughtproofing go a long way to ward off winter chills and put money in your pocket, because if you are not losing heat through draughts you are spending less to keep you home warm. Not only do these doors perform extraordinarily well they are also available in a massive range of styles, a comprehensive range of colours and they come with so many optional extras we could not possibly list them all here, but if you want to see all the benefits of the beauty and performance that you could incorporate in your home this winter take a look at the Timber Composite Door web site. 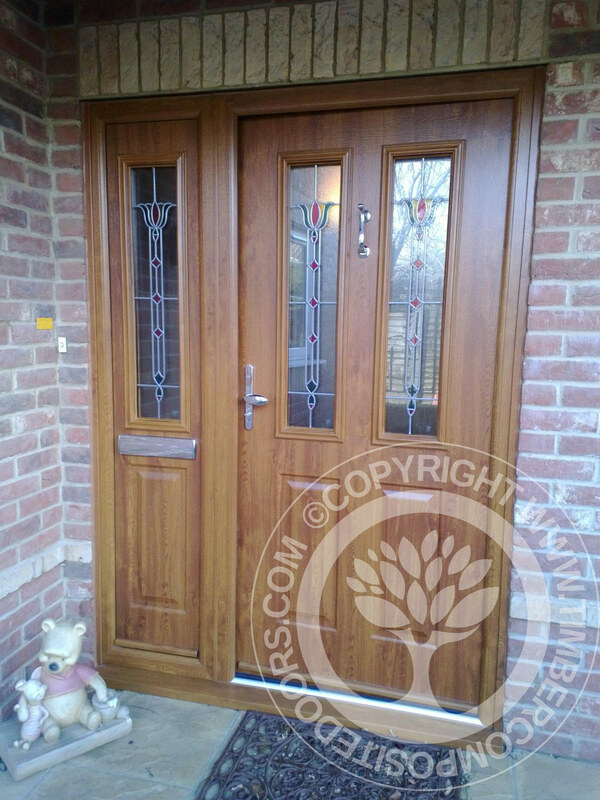 For more images like the one above of doors which we have actually installed we recommend our Gallery page. The site is easy to navigate, user friendly and in addition to all the information about the doors you will also find information on our 0% Finance deals, our deliver and install anywhere in the UK service and even a page dedicated to the “Consumers Rights” – in short everything you need to know to enhance your selection process. 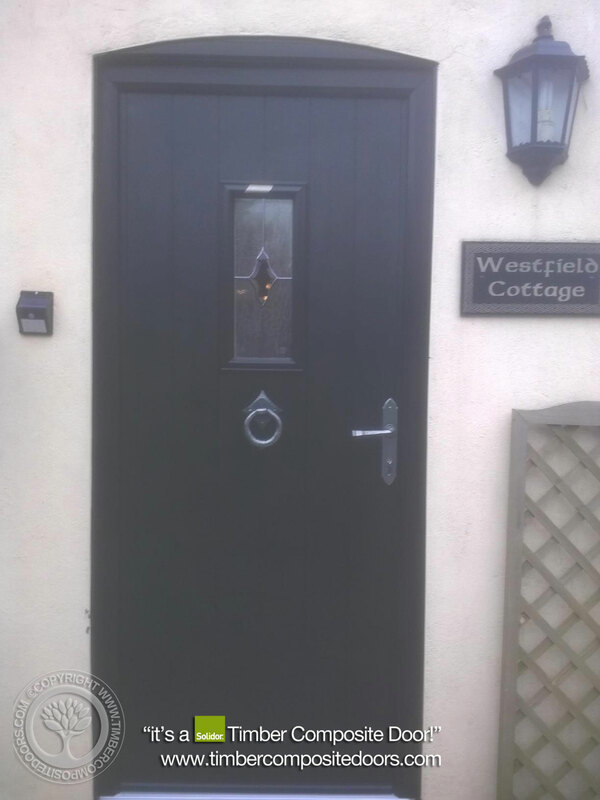 Here are a couple more examples (again taken from our Gallery Page) just to show the versatility of the Solidor range. We liked the one on the right because of that rather sweet little bear waiting to greet you.